For easy understanding of Kiosk business ideas, I have categorized kiosks into two. Before we go further, its good we define what is kiosk? For (i) above, according to Wikipedia, Kiosk is a small, separated garden pavilion open on some or all sides.It can even be a desk that may be used in a shopping mall,supermarket or airport. 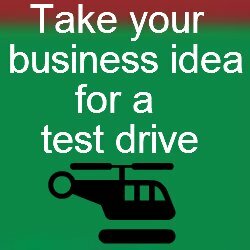 Here is a list of various kiosks business ideas to fall in this category. For (ii), it is a computer terminal featuring specialized hardware and software designed within a public exhibit that provides access to information and applications for communication, commerce, entertainment, and education. Here is a list of various interactive kiosks business ideas to fall in this category. Kiosk designs differ, specifically with the intended use as categorized above. After you decide what type of kiosk business to start, it is good to contact various kiosk manufacturers or kiosk suppliers to compare the quality and how the various kiosks cost. It is also advisable to look for used kiosk for sale as it may come at a cheaper price provided you do not compromise on the quality.